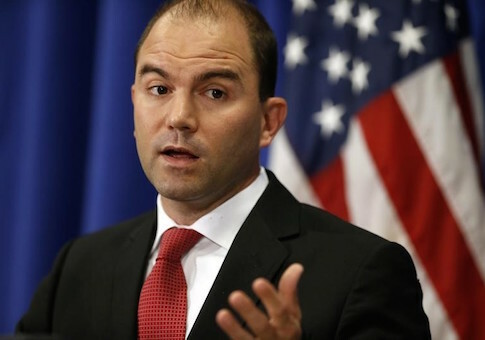 Ben Rhodes, one of President Obama’s top national security advisers, was forced to respond to allegations of the administration’s deception of the American public on the Iran nuclear deal. Rhodes, Obama’s deputy national security adviser for strategic communication, has faced scrutiny in recent days after a lengthy profile published in the New York Times Magazine indicated that he and the administration misled the public on conversations with Iran leading up to the nuclear deal, which was signed last summer. Specifically, the profile, which quoted Rhodes gratuitously, explained that the Rhodes "innovative campaign" to sell the Iran deal pushed a "largely manufactured" story about Iranian President Hassan Rouhani’s election in 2013 precipitating negotiations with Iran. In reality, informal negotiations with Iran had begun in 2012. In a Medium post Sunday, Rhodes sought to dismiss the notion that the campaign to sell the deal was built around fiction. He said that the administration made the American public aware of the establishment of "discreet channels of communication" with Iran before Rouhani’s election. "We pursued several diplomatic efforts with Iran during the President’s first term, and the fact that there were discreet channels of communication established with Iran in 2012 is something that we confirmed publicly," Rhodes said. "However, we did not have any serious prospect of reaching a nuclear deal until after the election of Hasan Rouhani in 2013. Yes, we had discussions with the Iranians before that, but they did not get anywhere." According to the Times Magazine profile, the "manufactured" narrative was "politically useful" to the Obama administration. "In the narrative that Rhodes shaped, the ‘story’ of the Iran deal began in 2013, when a ‘moderate’ faction inside the Iranian regime led by Hassan Rouhani beat regime ‘hard-liners’ in an election and then began to pursue a policy of ‘openness,’ which included a newfound willingness to negotiate the dismantling of its illicit nuclear-weapons program," David Samuels wrote in the profile. In reality, informal negotiations had begun in the middle of 2012, before Rouhani was elected. "The idea that there was a new reality in Iran was politically useful to the Obama administration. By obtaining broad public currency for the thought that there was a significant split in the regime, and that the administration was reaching out to moderate-minded Iranians who wanted peaceful relations with their neighbors and with America, Obama was able to evade what might have otherwise been a divisive but clarifying debate over the actual policy choices that his administration was making," the profile continued. Rhodes was also quoted in the piece as suggesting that it was easy to sell a positive interpretation of the Iran deal to reporters because of their inexperience, which he walked back on Monday. "There was no shortage of good reporting and analysis –positive, negative, and mixed – about the Iran deal," Rhodes wrote. "Every press corps that I interacted with vetted that deal as extensively as any other foreign policy initiative of the presidency." The profile has led to a flurry of negative coverage, including opinion articles published in the Washington Post, Foreign Policy, the New York Post. Critics have called the profile "gross" and slammed the Obama administration for allegedly duping the American public. Rhodes has been labeled an "a– hole" and a "propagandist." "As a propagandist, he’s been very, very good. Joseph Stalin could have used this guy. Really, if you look at what he said, he not only insulted the journalists, just trashed them, he insulted the foreign policy community, the military, virtually everyone, and Ben Rhodes was gleeful, gleeful in this brilliantly done article about [how] he put one over on the American people," Lt. Col. Ralph Peters said during an appearance on Fox Business Monday morning. Late last week, White House press secretary Josh Earnest dismissed the implications of the profile when asked by a reporter whether the administration had "hand-picked Beltway insiders" to sell the Iran deal and had misled the public on the agreement. He called the allegations "unfounded." "I haven’t seen anybody produce any evidence to indicate that that’s the case. I recognized that there might be some people who are disappointed that they did not succeed in killing the Iran deal, and maybe these unfounded claims are the result of sour grapes," Earnest said. He also asserted that the administration is "quite proud" to have made a strong case for the Iran deal. This entry was posted in National Security and tagged Barack Obama, Iran. Bookmark the permalink.